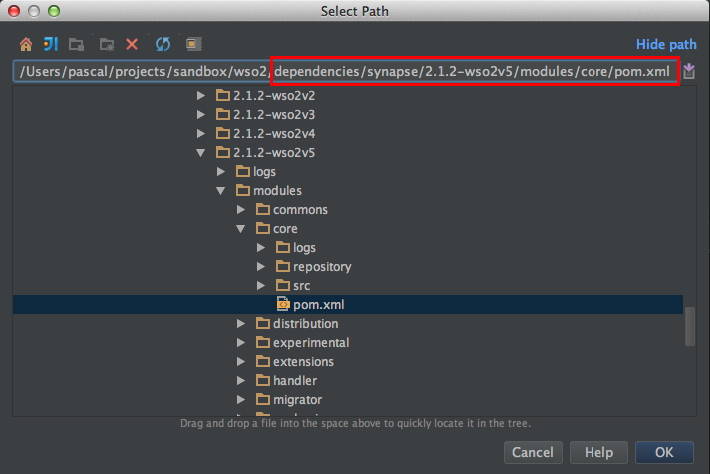 When implementing services using the WSO2 stack (or any other open source Java framework) you will sooner or later run into a situation that the framework behaviour doesn’t do what you expect it should do. Or you just want to verify the way a product works. 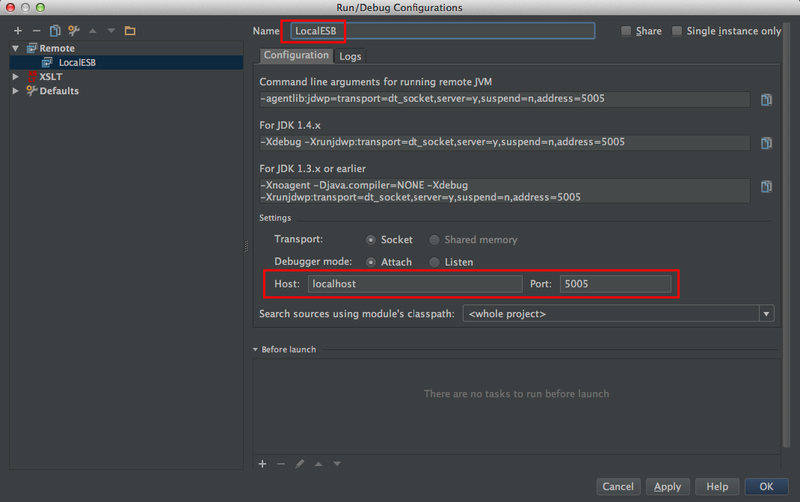 I lately had several of these experiences and I got around it to setup a remote debug session so I could go through the code step-by-step to see what exactly was happening. Of course this only makes sense if you have the source code available (long live open source :-)). 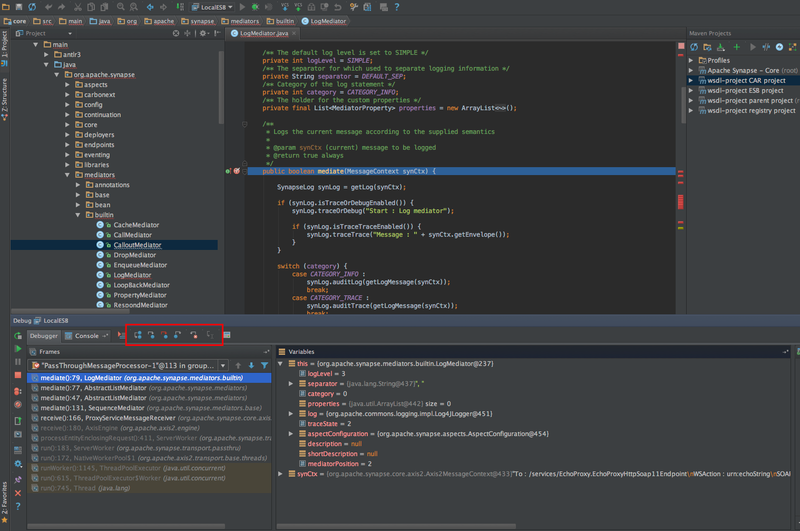 In this post an example with the WSO2 ESB (v 4.8.1) in combination with IntelliJ IDEA. And we see that the WSO2 ESB has continued starting. 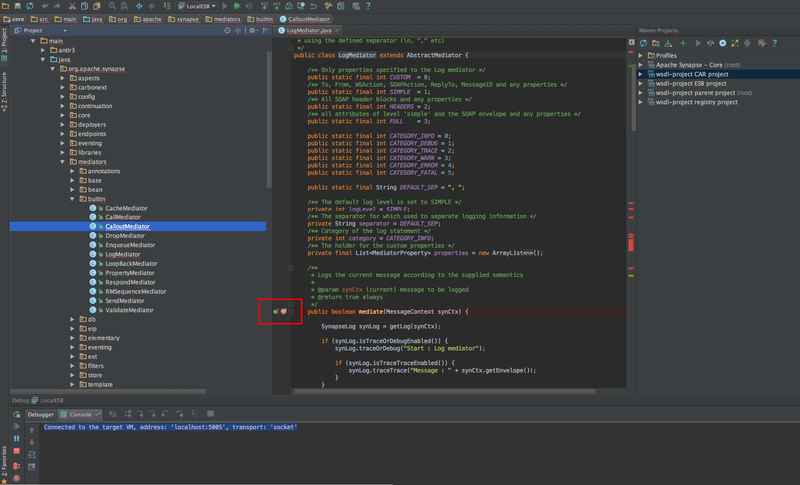 Now from this point on you can step through the execution of the code and see why things are happening the way they do. Hopefully this will help you like it helped me in several occasions where I didn’t find any help in the documentation or Google. 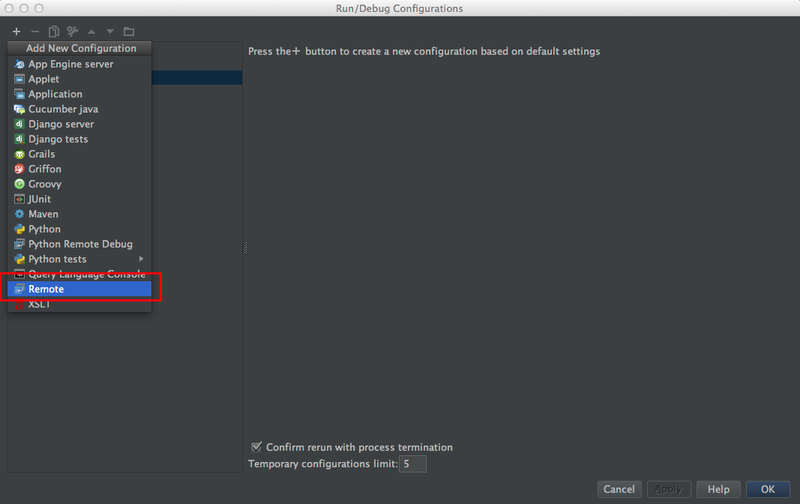 This entry was posted in IntelliJ IDEA, WSO2, WSO2 ESB and tagged IntelliJ IDEA, WSO2 ESB. Bookmark the permalink.